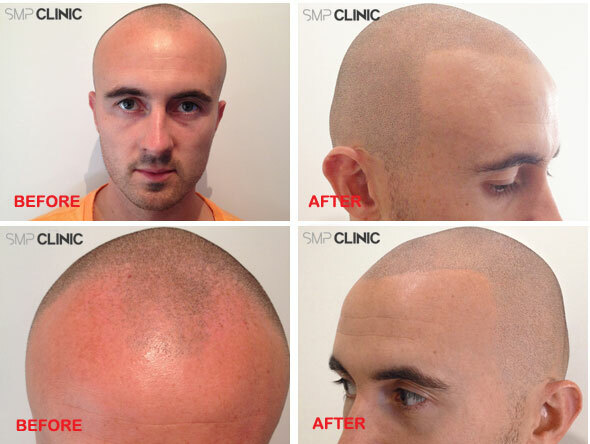 SMP Clinic is a relatively new scalp micropigmentation provider based in Parramatta, New South Wales. New they may be, however their background in hair transplant surgery, scar camouflage and a connection with Milena Lardi has enabled the company to punch well above its weight in terms of its results. So far they are turning out some exceptionally realistic treatments and are definitely worthy of consideration if you are looking for a quality SMP provider in Australia. In recent years the number of options for clients in Australia seeking scalp micropigmentation treatment has increased dramatically, which can only be a good thing. 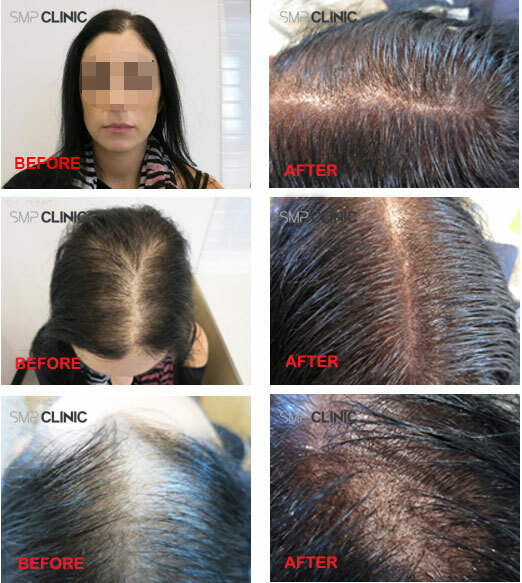 Awareness of this type of solution for hair loss is now much more widespread Down Under than it used to be, and although many Australians have responded by travelling to the United States or Europe for procedures, this is thankfully no longer necessary. Seven hair transplants later, I found myself again travelling, this time in search of scalp repair. It was through my own experiences, trials and errors, that I discovered the very real need for the solution we provide here at SMP Clinic. We live in an age of ever growing health awareness and the procedure we offer, scalp micropigmentation provides a safe and healthy alternative to the damaging surgeries and life-threatening side effects tied to the ointments and drugs being prescribed. Joshua was amongst a growing group of men who realised that hair transplants, whilst effective in many cases, do not always represent the ideal solution for hair loss. 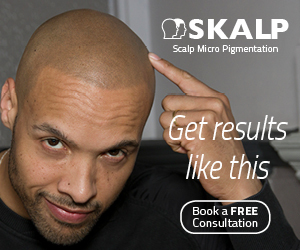 For a large proportion of people, alternative procedures such as scalp micropigmentation may be a more appropriate way forward. The more people understand about this option, the more are turning their backs on surgical procedures and opting for SMP instead. In 2009 Joshua Baker was co-Founder of one of Australia’s leading hair transplant clinics. 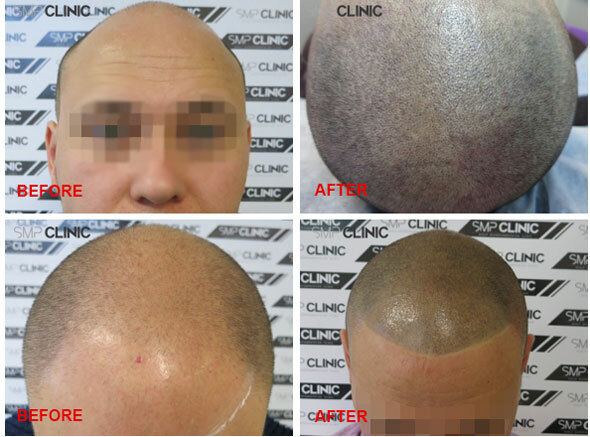 Requests from clients to camouflage scars caused by historic procedures quickly followed, and in early 2011 Joshua began offering scalp micropigmentation as a cover-up for these scars. Fast forward to February 2013 and Joshua set up SMP Clinic in response to growing demand, and in recognition of the fact that options for would-be SMP clients were still limited in Australia and that a dedicated facility was required. 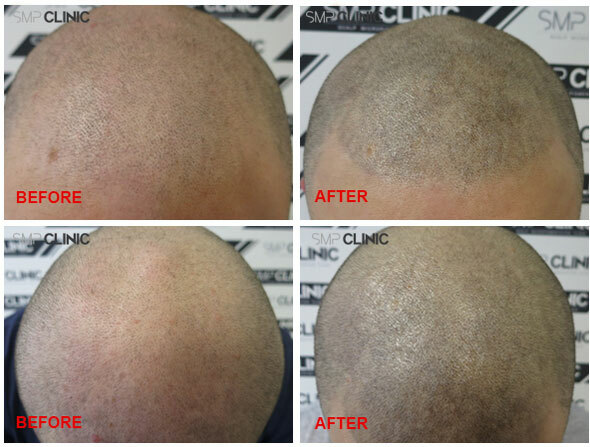 SMP Clinic employs three full time technicians, two of whom have more than 5 years experience each as hair transplant surgeons. Many scalp micropigmentation clinics partner with transplant surgeons, but for surgeons to offer SMP treatments themselves is more uncommon. Personally I believe the depth of knowledge that individuals like these can offer the client is a positive step forward in improving industry standards and overall service levels. Although the exact details of the relationship must remain confidential, SMP Clinic work closely with Milena and her team at Beauty Medical in Milan, Italy. Milena Lardi is widely regarded as the world’s foremost authority on temporary scalp micropigmentation procedures, therefore it is no surprise that SMP Clinic offer a temporary solution lasting up to two years. For those looking for a more permanent solution, the same procedure is available by utilising pigments that are not designed to degrade as quickly. Your best option is to call the clinic for advice. I have seen Milena’s results and they are outstanding. If Joshua and his team were trained by Milena, I believe we can expect great things from this fledgling provider. This is a young company and cannot therefore claim to have treated thousands of clients just yet. They have however treated more than 150 clients so far, more than enough to address any teething problems they may have had, and this does not include the clients they camouflaged scars for whilst working for the hair transplant clinic. In other words, they offer enough experience to get the job done to a high standard.